HG-10-102-01 is a potent and selective inhibitor of leucine-rich repeat kinase 2 (LRRK2) with the IC50 values of 20.3nM and 3.2nM for wild type LRRK2 and LRRK2 [G1019S], respectively . 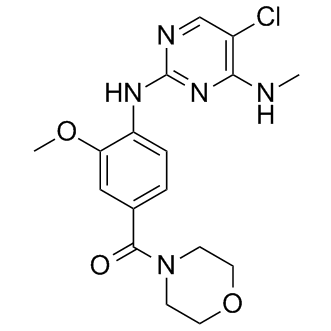 HG-10-102-01 has shown the potent and selective inhibitor of LRRK2 with the IC50 values of 20.3nM, 153.7nM, 95.9nM and 3.2nM for wild type LRRK2, LRRK2 [A2016T], LRRK2 [G2019S+A1016T] and LRRK2 [G1019S], respectively. 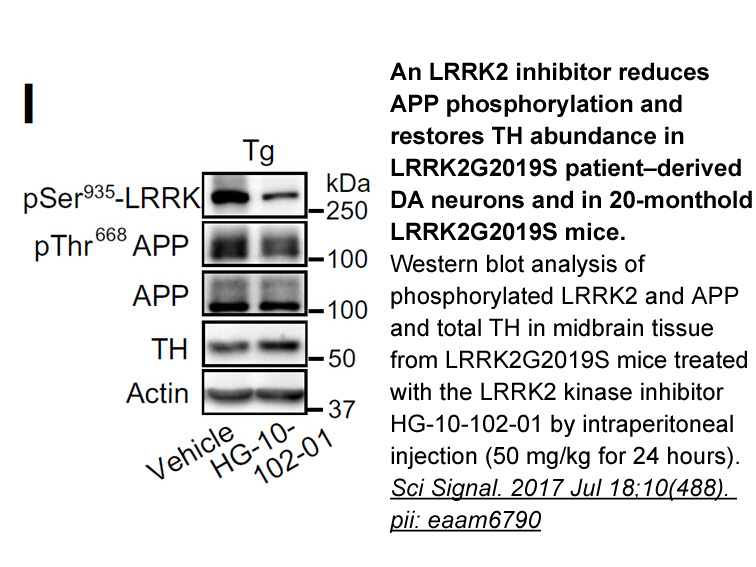 In addition, HG-10-102-01 has been reported to induced a dose-dependent inhibition of Ser910 and Ser935 phosphorylation in both wild-type LRRK2 and LRRK2 [G2019S] stably transfected into HEK 293 cells. Moreover, it has been demonstrated that increasing doses of HG-10-102-01 led to similar dephosphorylation of endogenous LRRK2 at Ser910 and Ser935 in HEK293 cells, mouse Swiss 3T3 cells and mouse embryonic fibroblast cells .